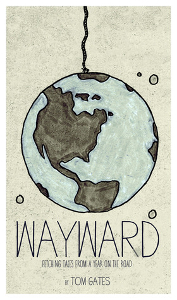 Want an infusion of wanderlust? Look no further than your bookshelf, local library, or bookstore! 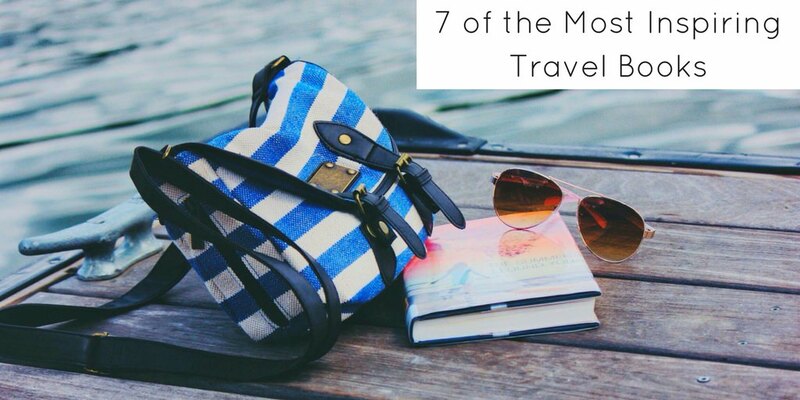 Here are 7 of the most inspiring travel books that I know of, all of which are guaranteed to make you want to take the next available plane to a faraway land. Part travel memoir, part philosophical discussion, Alain de Botton’s The Art of Travel does what few travel books do—it addresses the how and why of travel rather than just the where. Using personal travel experiences as a launching point, de Botton explores topics as diverse as the sublime, the country vs. the city, the exotic, and anticipation. Throughout the book, de Botton includes relevant biographical and textual examples from prominent historical travelers, including John Ruskin and Gustave Flaubert. 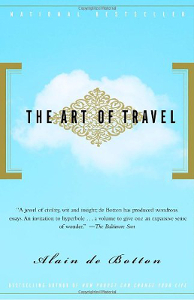 Despite its complex topics, The Art of Travel is surprisingly reader friendly. Strongly recommended for anyone interested in examining the peculiar human practice of travel, this book will leave you wanting to pack your bags immediately to begin your own travel-inspired philosophical journey. Largely based on personal experiences, Ernst Hemingway’s novel The Sun Also Rises provides a glimpse into the vibrant expat communities of Paris in the 1920s—and is a must read for anyone who has or wants to live abroad. It tells the story of a group of American and British expatriates who travel from France to Spain to attend the bull fights and other events surrounding the Festival of San Fermìn in Pamplona. 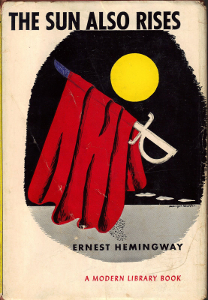 While Hemingway’s main focus is human morality, his thoughtful descriptions of the local people, culture, and countryside convey a deep-seeded respect for Spain that, for readers, feels impossible not to share. 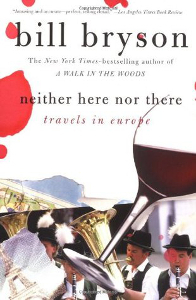 After finishing the book, you too will want to head to Pamplona in search of your own cast of colorful characters. Bill Bryson is known for his incredible sense of observational humor, and in Neither Here Nor There: Travels in Europe, he does not disappoint. 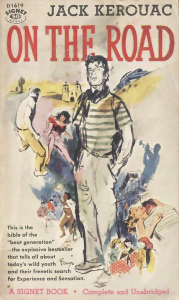 The book recounts Bryson’s attempt to retrace a journey across Europe he made twenty years earlier as a young man (the subject of his book The Lost Continent). Hilarity ensues as he finds himself in a series of situations where common sense ceases to exist and the unexpected becomes the norm. Yet, despite Bryson’s struggles, you feel compelled to recreate his journey—discovering for yourself the absurdities of Europe. 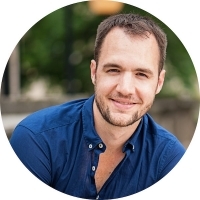 Filled with his famed dry whit and self-deprecating humor, Neither Here Nor There will leave your side aching from excessive laugher, and your soul filled with a sense of wanderlust. 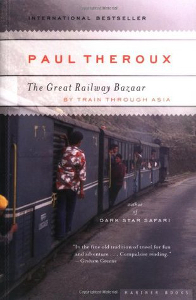 Paul Theroux’s The Great Railway Bazaar is rightfully considered a classic of modern travel literature. The book recounts Theroux’s four-month trip from London to Japan and back. On the way, he boards a series of fabled trains—including, the Orient Express, the Trans-Siberian Express, and the Golden Arrow—all of which have their own unique character. More a study on the people he meets along the way than an account of sights visited, The Great Railway Bazaar makes readers feel as though they are seated next to Theroux for the entirety of his journey. And once you arrive at the final page, you realize there’s only one thing to do—hop on the next train. Perhaps the funniest book on travel I have ever read, Tom Gates' Wayward: Fetching Tales from a Year on the Road is an overlooked gem. This compact volume contains a collection of travel stories taken from Gates’ year-long journey around the world, within which he is unabashedly critical of many sacred cows in the travel world (ex: he describes a graffiti-covered Florence as looking “like the inside of a toilet stall”). As counterintuitive as it may seem, his brutal cynicism will inspire you to take your next trip. 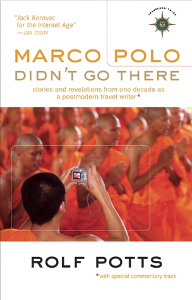 Rolf Potts’ Marco Polo Didn’t Go There is an insightful collection of stories taken from the author’s extensive travels. Potts has the rare ability to both entertain and educate—having produced some of the most thought-provoking prose I’ve come across. As a bonus, each chapter contains endnotes describing Potts’ writing strategy—from organizing his notes, to editing, to story-crafting. Few, if any, books offer prospective travel writers with a better roadmap for excellence. Reading about Potts’ incredible adventures makes you want to abandon the monotony of everyday life and create your own unforgettable memories. What can I say about Jack Kerouac’s On the Road that hasn’t already been said? Just do yourself a favor and read this book. But be warned—you may never want to settle down in one place again. When most people say that reading has the power to transport you to faraway lands, they are speaking figuratively. However, the right works, such as the above-listed ones, can push you explore the world like you've never done before. Next time you're looking for a jolt of wanderlust, check out one of these works; they are, after all, 7 of the most inspiring travel books. Have you read any of these books? What were your thoughts on them? 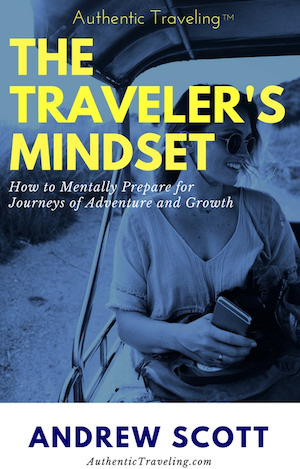 Do you know of any other inspirational travel books?